Batteries may be wired in parallel or in series. Two 12-volt batteries wired in parallel continue to produce 12 volts, but the capacity doubles. Two 12-volt batteries wired in series produce 24 volts, but the capacity remains the same as one for a 12-volt battery. Charging 12-volt batteries wired in parallel requires a 12-volt battery charger. The process is simple, but as the capacity of the batteries increases, depending on the number of batteries wired in parallel, it can take twice the time to charge two 12-volt batteries and three times as long for three batteries. Check that your battery charger is set for charging at 12 volts. Twelve-volt batteries wired in parallel must be charged at 12 volts. 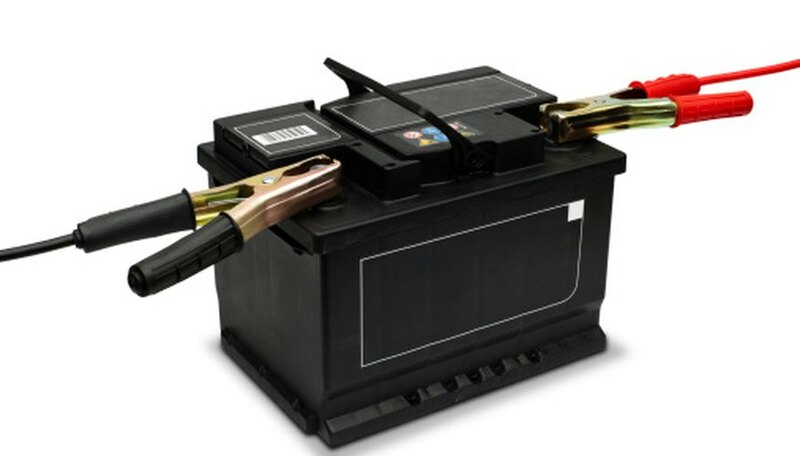 If your battery charger produces a charge rate greater than 12 volts it may damage your batteries. Connect the negative (black) wire from your battery charger to the negative terminal of one of the 12 volt batteries wired in parallel. The negative terminal is labeled “-.” You can connect the wire to any of the negative battery terminals. Connect the positive (red) wire from your battery charger to the positive terminal of one of the 12-volt batteries. The terminal is labeled “+.” The wire from the charger can be connected to any positive battery terminal. Plug in your charger to the electricity supply. Turn on your charger, ensuring it is set to charge at 12 volts. Let your batteries charge until the charger indicates they are fully charged. Some chargers have a light that illuminates once charged: others have a meter that shows the charge rate, and once it’s near zero your batteries are charged. Turn off and unplug your charger from the electricity supply. Disconnect the negative and positive wires from the battery terminals. The time it takes to charge your batteries depends on the number wired in parallel. For example, if it takes two hours to charge one 12-volt battery, but you have three wired in parallel, it takes six hours to charge the three batteries.